High tech, tought as nails equipment for when all hell breaks loose and then some! These models are for Metacreations' Poser 3 and 4 program only. Keep an eye out for future updates and add on packs!!!! Before You go on to the other pages and begin downloading, get this character first! He is the base figre needed for all of the others! 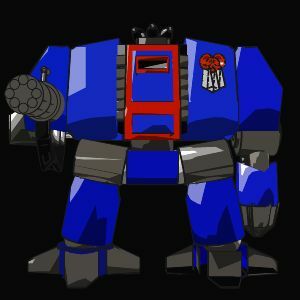 Ultramarine: heavily armed, tought as nails and ready to go anywhere at anytime! 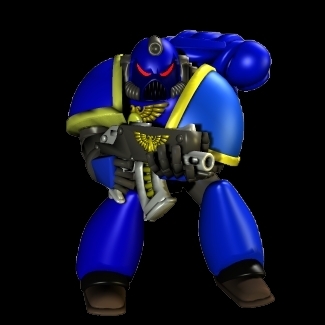 Needed as the base for the Terminator model. Provides superior firepower and support in combat situations. 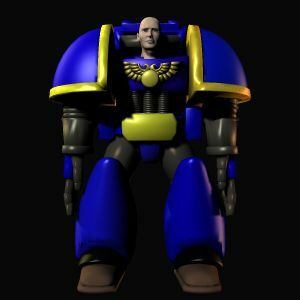 Helmetless marine: base model for all helmetless models. Complete with morphs!